Cost to enter: 1 poem, free. 2 poems, $4 CAD. 3 poems, $6 CAD. Prizes: 1st place, $75 CAD. 2nd place, $20 CAD. human journey, let the record show that poets were there. Poetry Contest #4. Submissions are welcome from everywhere on Earth. access previous winners in the Archives. 1 poem may be submitted for free. 2 poems may be submitted for $4 CAD. using the buttons shown, or by cheque, as described below. 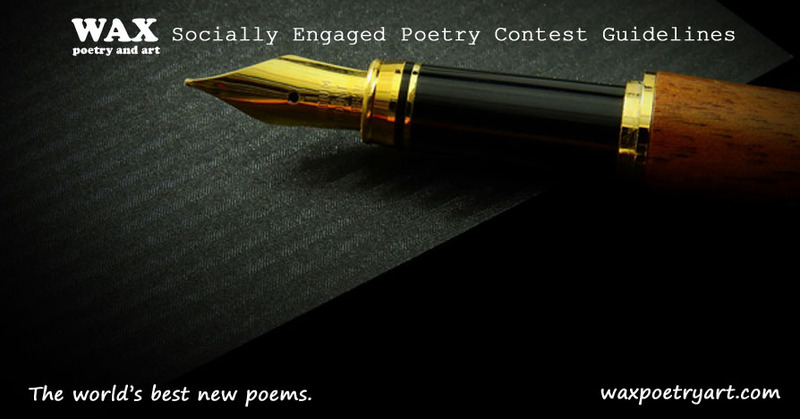 Use the subject header, "Socially Engaged Poetry Contest".